For an organisation’s management system to achieve global recognition, it must undergo a certification process. The certification process is carried out under contractual testing standards, testing for accreditation guidelines and industrial practices. Interested parties interacting with your organisation are given the reassurance and trust in your brand when they see that your business activity meets the policies deemed standard in your field. 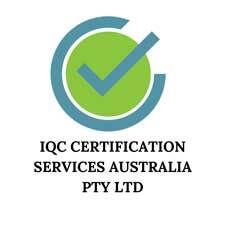 Certification also verifies that your organisation meets the objectives defined for an adequate management system to effectively and efficiently meet contractual requirements and achieve and enhance customer satisfaction. An accredited certificate also gives the credibility and confidence to all parties involved that the certifying body has the necessary competence to plan and conduct an audit and issue a certificate of compliance.